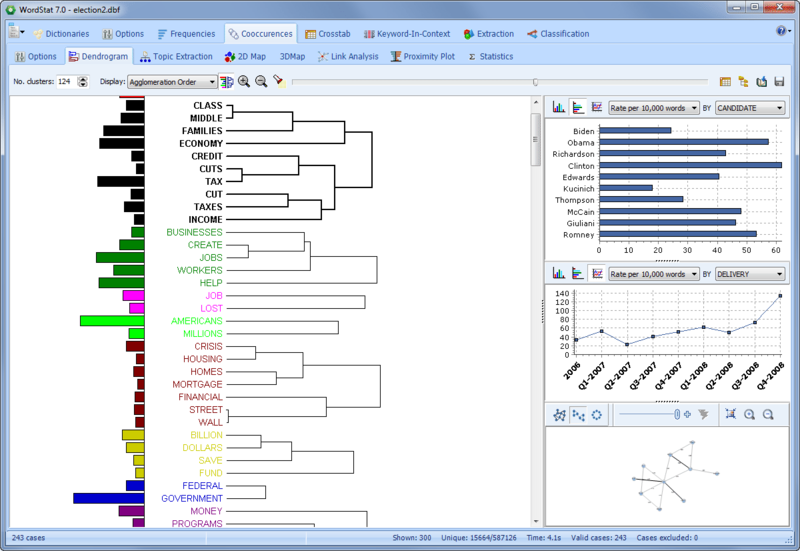 Stata is a complete, integrated statistical software package created by StataCorp LP (www.stata.com). It provides a wide range of statistical analysis, data management, and graphics. The latest versions of Stata added many new features, including a long string data type allowing one to store along with numerical and categorical data, documents up to 2 billion characters. One could thus create a statistical database with journal abstracts, news transcripts, patents, incident reports, customer feedbacks, interviews and so on. • Etc. (for some examples of studies using WordStat, see the Studies page). 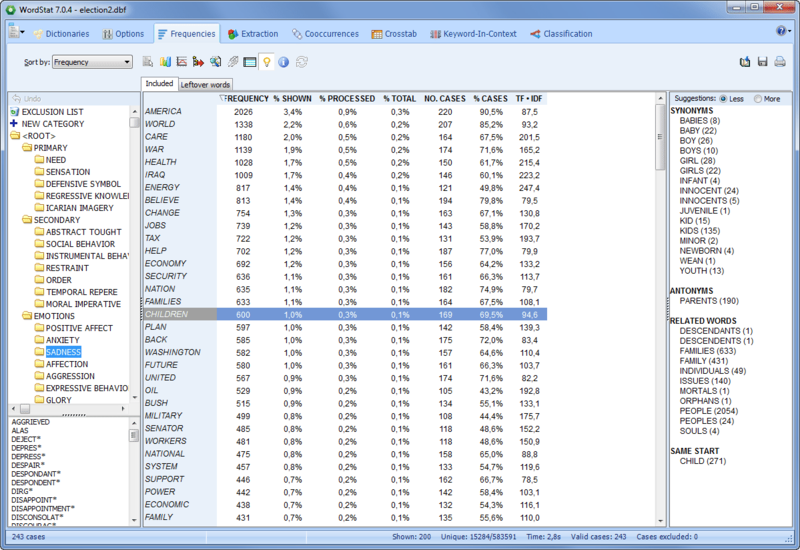 For a more detailed description of WordStat for Stata features, click here. To download a trial version of WordStat for Stata, click here. To learn how to install WordStat for Stata, click here.